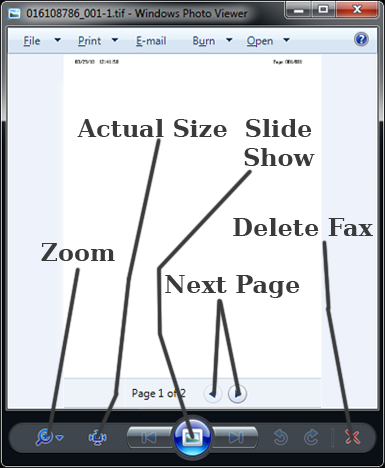 By default, faxes open in Windows Photo Viewer. You can zoom in / out, and change pages using the toolbar at the bottom of the window. Here is a diagram of what each button does.